Celia Shortt Goodyear/Boulder City Review Construction on Loop D of the Boulder Beach Campground at Lake Mead National Recreation Area began Monday as part of a $3.4 million renovation for it and the northwest portion of the campground. Work is expected to be completed by April 2018. 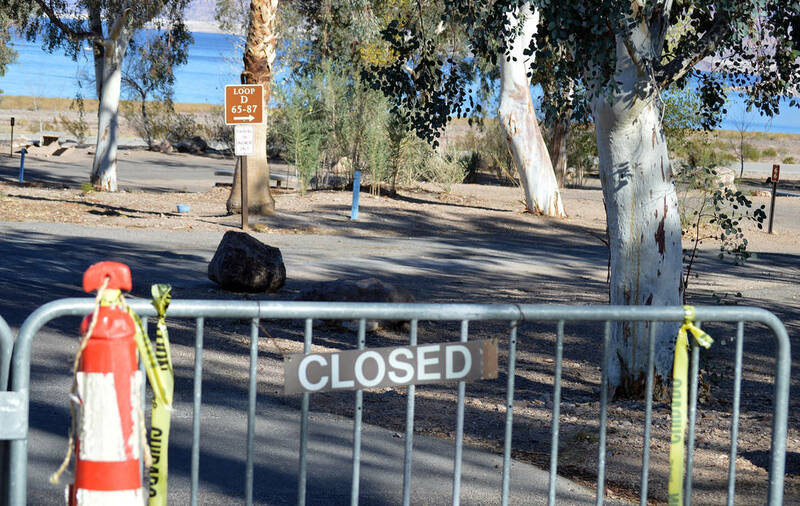 The $3.4 million in renovations, which started on Monday, include rehabilitating 73 campsites in Loop D and the northwest section of the campground in Lake Mead National Recreation Area by replacing the existing asphalt pads, regrading them, and then installing concrete ones that can accommodate RVs. The sanitation and potable water refill stations also will be renovated and made accessible, low maintenance and simple to operate. Other sites will also be made fully accessible. According to Christie Vanover, public relations officer for the recreation area, visitors enjoy camping at the Boulder Beach Campground because of its abundance of shade trees and access to the River Mountains Loop Trail and Boulder Beach. In addition to the roads and camping pads, picnic tables, fire rings and grills will be replaced. Shade structures also will be added to the group sites. Work will start on Loop D first and then move to the northwest portion of the campground. More campsites in the area of Boulder Beach are at Las Vegas Bay and Callville Bay and will remain open. Lake Mead RV Village will not be impacted by this project and will remain open for RV camping. Premier Engineering of Chandler, Arizona, is handling the construction, which will take place from 7 a.m. to 5:30 p.m. Monday through Friday. The project is expected to be completed by April 27. Funding comes from park fees and the Southern Nevada Public Land Management Act.